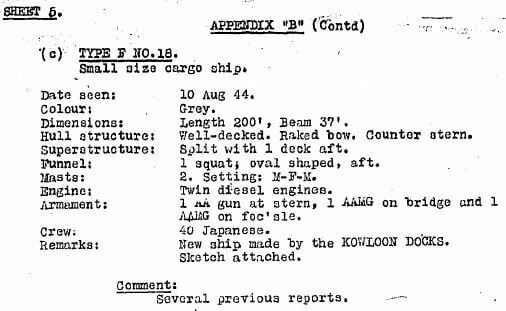 This appears to refer to Army landing ship SS-15 that was completed in January 1945. The ship appears to have been unofficially named 天山丸 Tenzan Maru and after the war retained the same characters being known as Tien Shan and owned by Kwangtung Industrial Corp, Canton and from 5/48 classed as a cargo ship. The ship remained in local service until 1960 when sold to Hwa Tung SS Co, Kaohsiung, Tainwan and renamed Hsing Chung. The ship foundered 1 January 1968 off Penghu Is, Pescadores while en route to Hong Kong.